Maths Mileage is a comprehensive and well-graded 10-level mathematics series for school children. 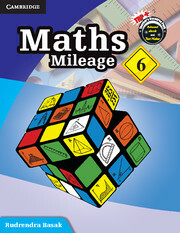 Maths Mileage is a ten-level series for Mathematics based on the National Curriculum Framework (NCF) 2005 and the Continuous and Comprehensive Evaluation (CCE) guidelines. This series adopts a holistic approach to build up students’ confidence and competence in mathematics. The textbooks present mathematics in both new and familiar contexts, encouraging students to explore the topics and concepts. 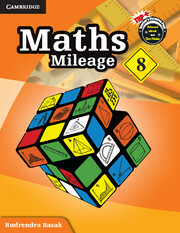 The text clearly explains the mathematical concepts used in language that is appropriate for students of that level. The sequence of the topics has been planned to maximise the interest and enjoyment of students while assisting teachers to identify the learning outcomes achieved. Route Map to revise the concepts learnt earlier. Road Ahead to clearly define the objectives of the chapter. Alert! Remember and Maths Boost to provide useful tips for avoiding mistakes and solving problems. 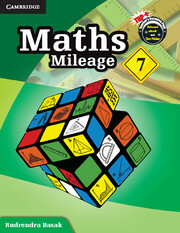 Milestones Achieved to quickly recapitulate concepts learnt in the chapter. Formative Assessment (FA) and Summative Assessment (SA) for assessing the understanding of the chapter. In-Time questions to solve problems in a stipulated time. Detective Maths for developing multiple intelligences. 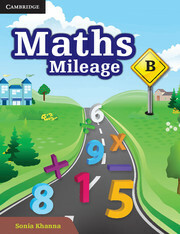 Maths Lab Activity to further strengthen concept-related knowledge through Activities. 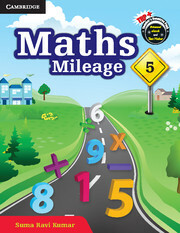 Life Skills to facilitate application of maths in real-life situations. Problem Solving Assessment (PSA) and Higher Order Thinking Skills (HOTS) to enhance the analytical skills of the students.